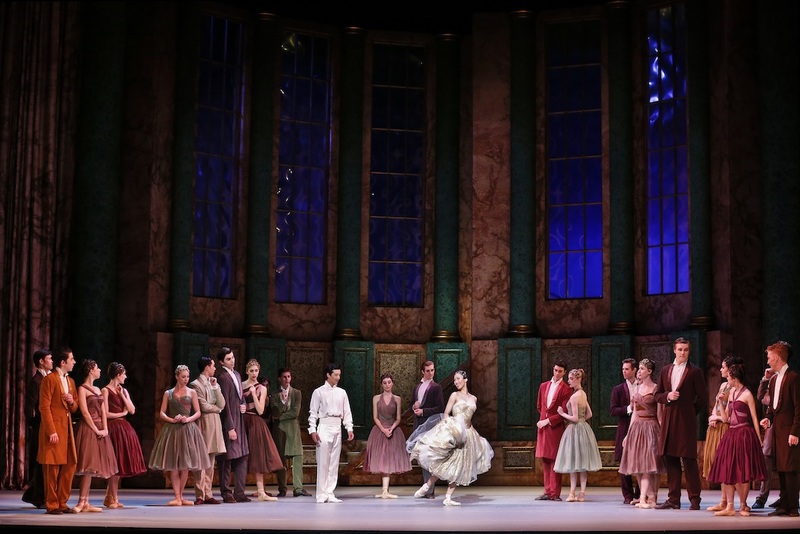 As witty as it is romantic, The Australian Ballet’s characterful production of Cinderellamakes an unplanned yet very welcome return visit to Melbourne, showcasing the glorious partnership of married principal artists Ako Kondo and Chengwu Guo. 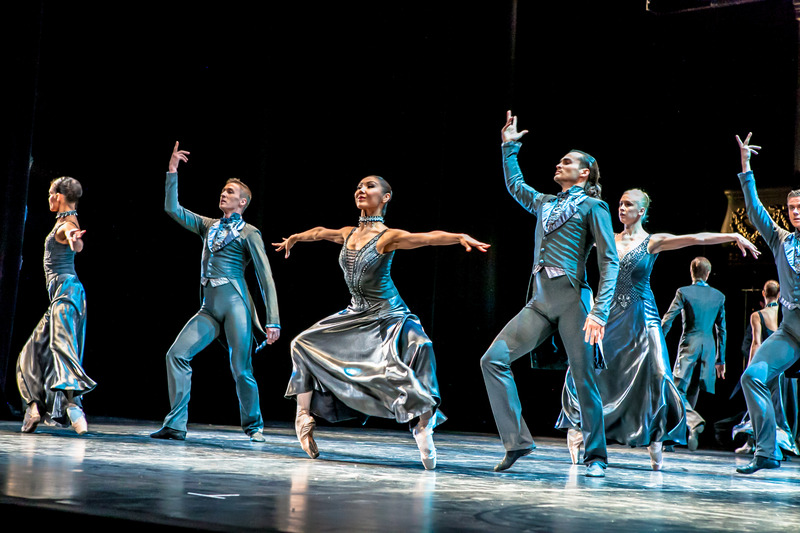 Created for The Australian Ballet by master choreographer Alexei Ratmansky in 2013, Cinderella now appears to have reached the level that artistic director David McAllister likes to describe as “in the company’s DNA.” In this third Melbourne season, every dancer on stage contributes mightily to a nuanced, elegant and highly entertaining performance. While it would have been a pleasure to begin the year by welcoming a new work, the eventual world premiere of Graeme Murphy’s The Happy Prince is now all the more keenly anticipated. 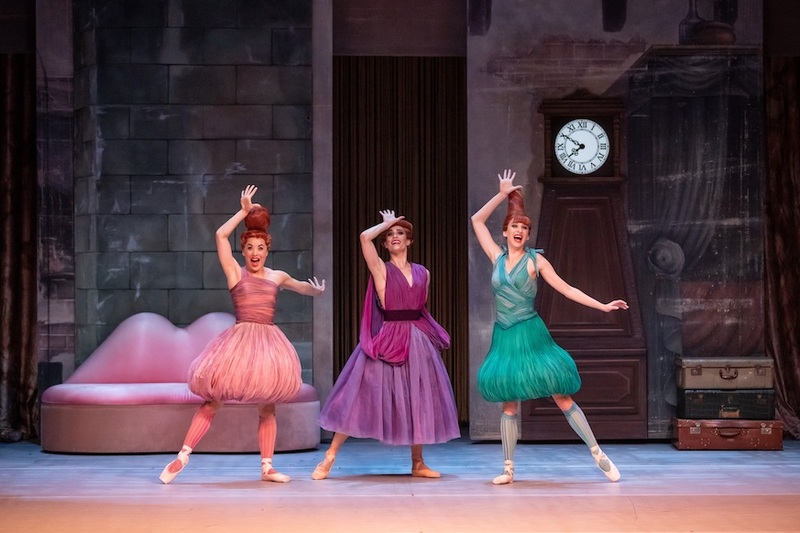 While the fairy tale title of Cinderella suggests a sugar-spun frivolity for children, Ratmansky’s work brims with adult themes of sorrow, malevolence and romance, all wonderfully offset by delightfully sophisticated humour. For an art form that thrives on its female corps de ballet looking absolutely identical, Ratmansky has imbued the full company scenes at the ball with lashings of character work. Ratmansky’s unique dance vocabulary is visually striking, and the corps flourish in their individuality. Jérôme Kaplan’s sumptuous designs for Cinderella remain impressively grand, built on a large scale yet able to easily flow from scene to scene. Kaplan’s integrated design uses a luscious palette of musk pink and moss green, with all manner of warm composite colours for the costumes. Adding to the humour, Kaplan sets up an elaborate joke for the Stepmother and Stepsisters when they change outfits in a vain attempt to keep up with court fashion. If there is one disappointment in the costumes, it is the unflattering light grey suits of the Prince’s friends. Cinderella’s metallic gold ball gown remains a lovely highlight, cleverly matched in silhouette to her workaday rags. Ratmansky utilises Prokofiev’s marvellous score as though it is a film soundtrack, perfectly aligning the music with each change of mood and tone. Maestro Nicolette Fraillon leads Orchestra Victoria in a meticulously detailed rendition of the score, maintaining an inspiring freshness to the sound. The storyline keeps us waiting for the Prince’s entrance in act two, but when it comes, Guo’s presence brings a natural rise to stage energy. 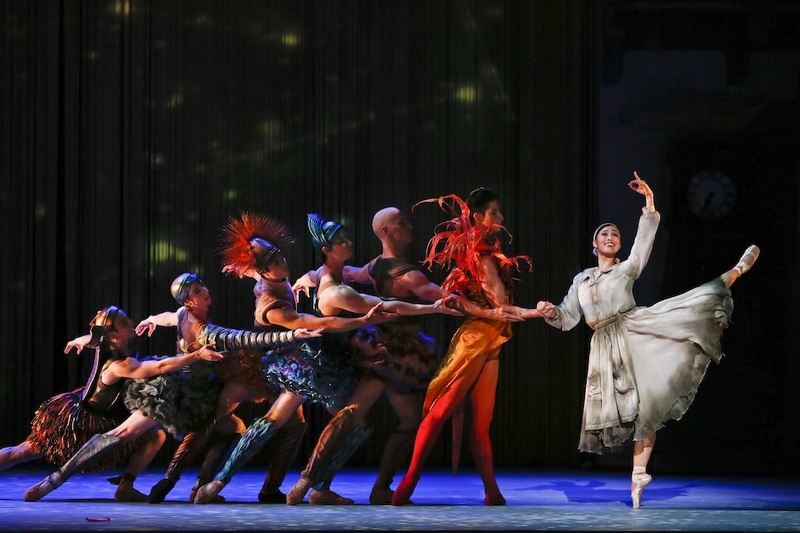 Kondo and Guo make heavenly work of each of the Prince and Cinderella’s pas de deux, beginning possibly at their very best as the pair fall quickly in love and revel in the pleasure of following each other in dance. There is plenty of impressive dance work involved, particularly in the climactic pas de deux, and the pair perfectly complements each other in terms of distinctive presence and deeply intuitive partnership. Both Kondo and Guo create clear characters; Kondo delights in her portrayal of Cinderella’s modest joy at her good fortune, while Guo conveys the tender aspect of a man who seeks love beyond adulation. The Prince’s act three world journey to find the girl who fits the slipper remains the weak link in an otherwise expertly crafted ballet. Guo’s focus and skill make this sequence more watchable, yet it is somtheing of a relief when the Prince finally ends up at Cinderella’s home. 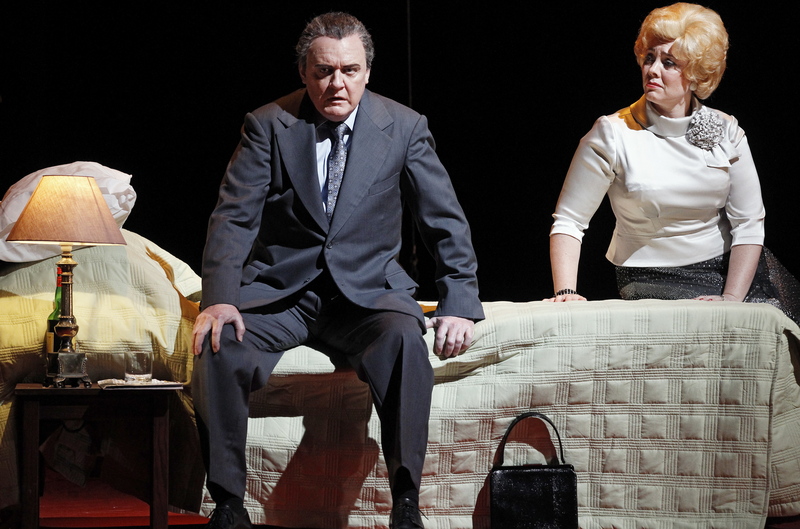 Dana Stephenson brings a delectable level of verve to Cinderella’s fearlessly driven Stepmother. Jill Ogai is adorably amusing as Dumpy, while Ingrid Gow brings a contrasting undercurrent of insecurity to Skinny. The pair wreaks holy terror akin to the Siamese cats in Lady and the Tramp, torturing Cinderella and then purring at their mother’s side when she returns to the room. Hilariously funny as they are, it is the excellent dancing of Stephenson, Ogai and Gow that is the finishing touch to their memorable performances. Act one’s visit to the planets and stars is fortified by an exceptional line up dancers, demonstrating the depth of talent currently at hand in the company. Young audience members may need to be at least ten years of age to really appreciate Cinderella. Adult theatregoers should not hesitate in taking the chance to enjoy this brightly polished production again. Cinderella plays at State Theatre, Arts Centre Melbourne until 28 March 2019. Read the Melbourne Cinderella casting list. The Australian Ballet has dedicated this season of Cinderella to Dame Margaret Scott, who passed away last month.